The Mercedes-Benz X-Class is the poshest pickup truck on sale – but available only in passenger-friendly double cab body style, it’s not the most practical. These latest spy shots suggest Mercedes is keen to tackle this issue with a new long-wheelbase (LWB) model. However, all is not entirely as it seems. 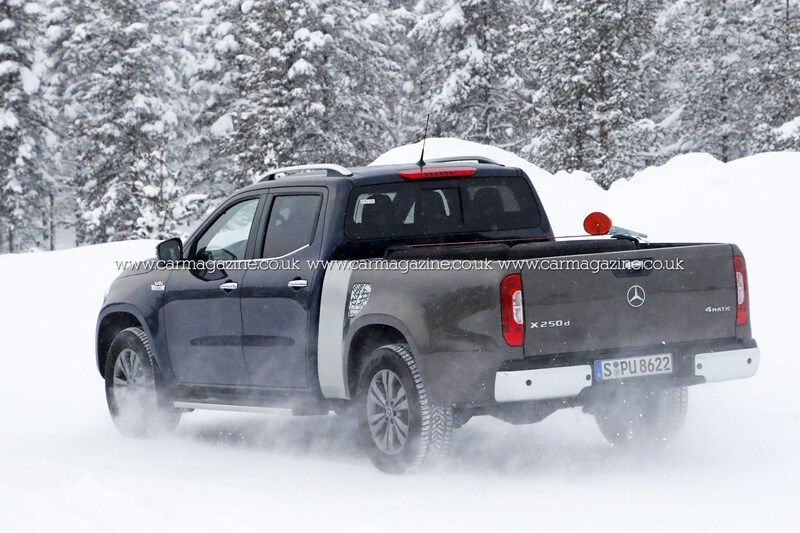 This extended X-Class, caught winter testing by spy photographers from our sister title CAR magazine, is apparently not an official Mercedes-Benz development vehicle, but in fact a solution from a third-party bodybuilder that the German manufacturer is testing to ensure it meets its rigorous standards. 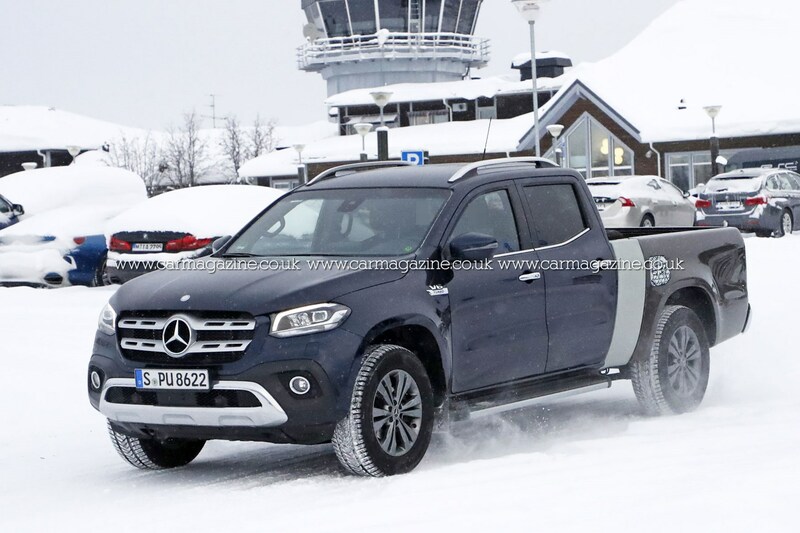 How has this Mercedes X-Class been extended? We have to say, these spy shots gave us quite the chuckle. To create the extra load space, it seems the bodybuilder's engineers have quite literally cut an X-Class in half and added a bit in the middle, in the obvious place just behind the passenger cab. 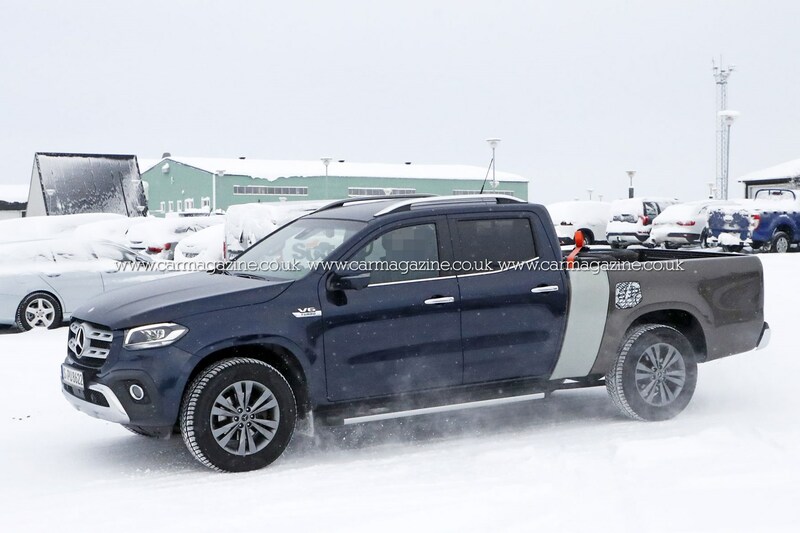 In fact, it would appear that two X-Classes have fallen victim to the process, as the front half is not only a different colour, it proudly sports the V6 Turbo badges of an X 350 d model, while the tailgate on the load bed has the X 250 d markings from a four-cylinder version. As you can see, the whole load area has been shifted backwards, and an additional section added between it and the cab. What’s perhaps less obvious is that in order to do this, the bodybuilder must have also lengthened the chassis structure underneath, otherwise the rear wheels would no longer fit into the arches. 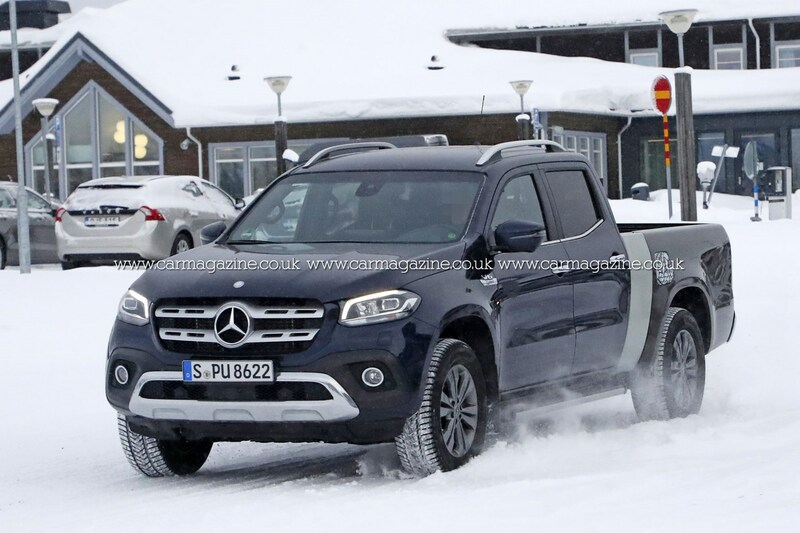 This means it literally has a longer wheelbase than the standard X-Class. 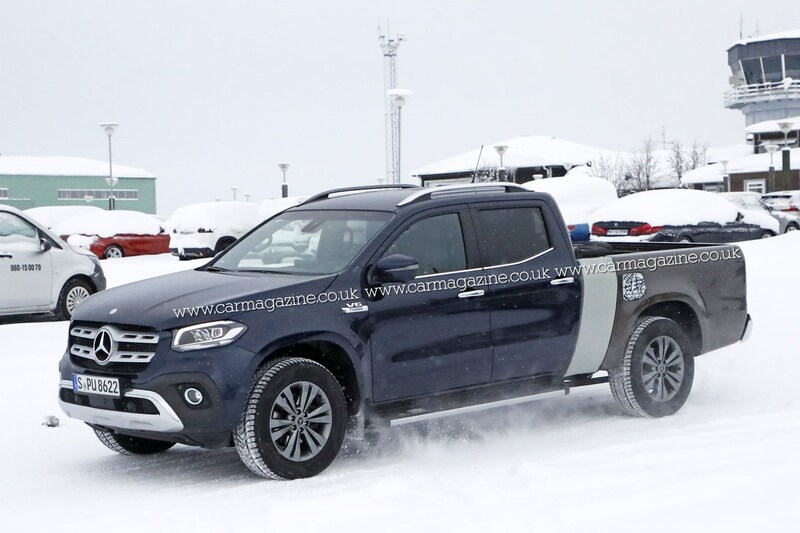 For full details of the standard X-Class exterior and load area dimensions, see our dedicated Mercedes X-Class Dimensions page. 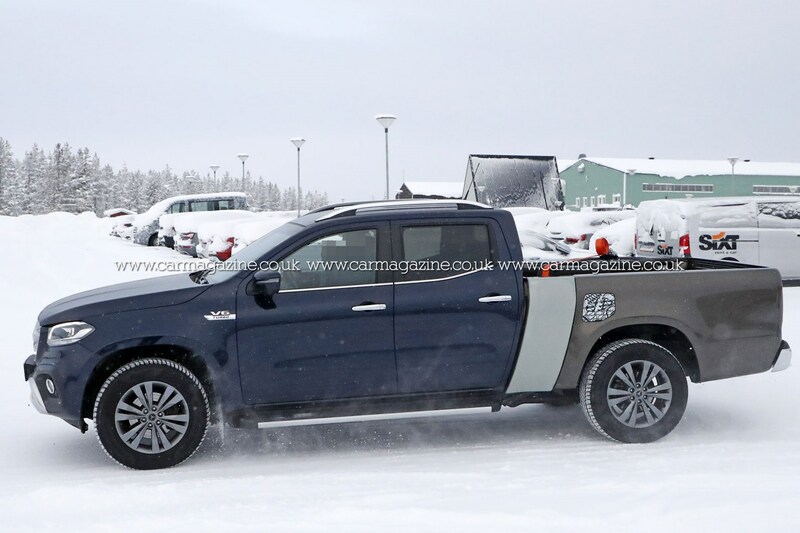 Why would any one want a LWB X-Class? 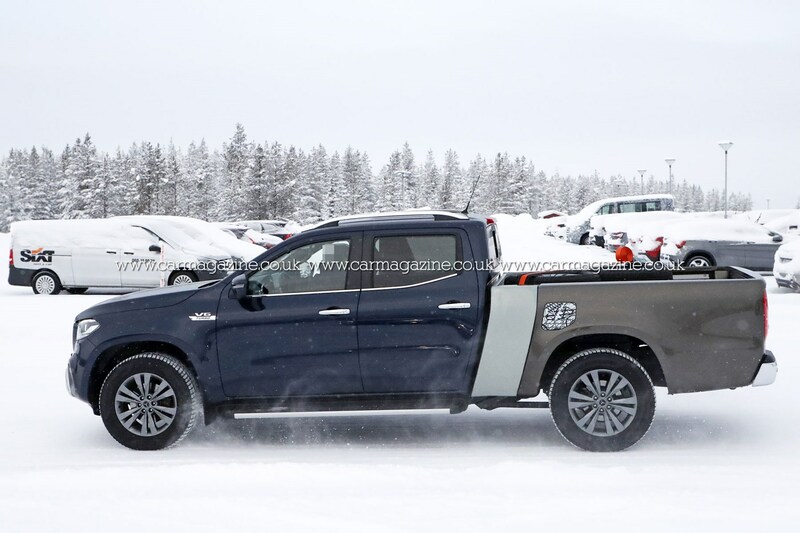 That’s a little unclear at this stage – except that it would, obviously, increase the load space available to X-Class buyers. Mercedes is certainly adamant that this is not part of a plan to target the US market (where the X-Class currently isn’t sold, due in part to being too small versus traditional American pickup trucks such as the bestselling Ford F-150). But such a vehicle could add further appeal in pickup-heavy markets such as Australia, South Africa and Latin America. 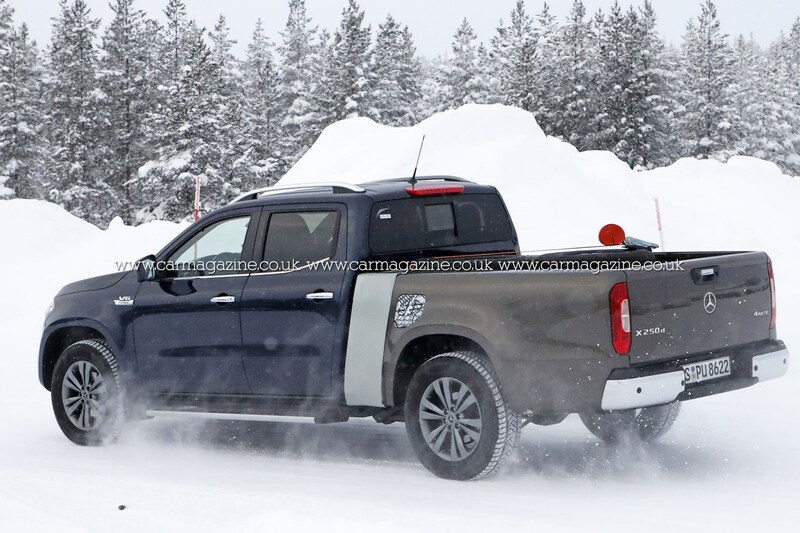 Alternatively, the use of a conventional pickup load area - albeit an adapted one - might just be a convenient way of testing the extended chassis. 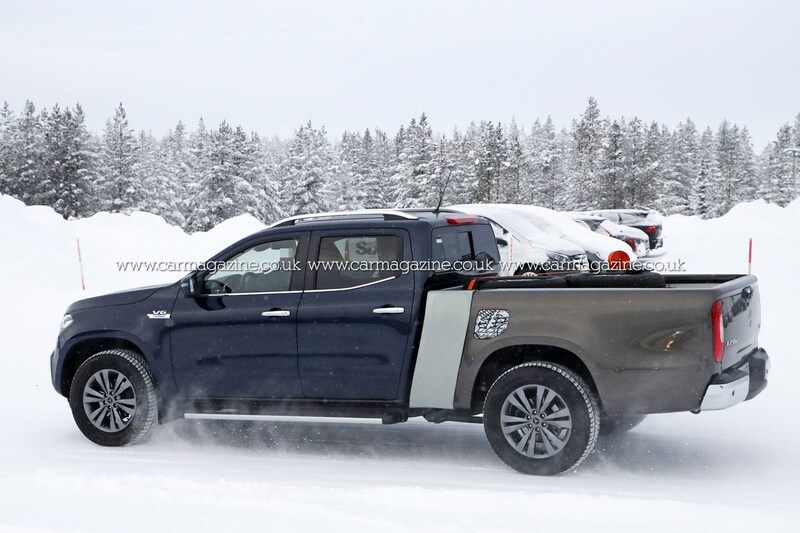 One thing is likely, however: while the LWB model might provide extra load length, it is also likely to have a reduced maximum payload due to the additional weight of the extra bodywork. 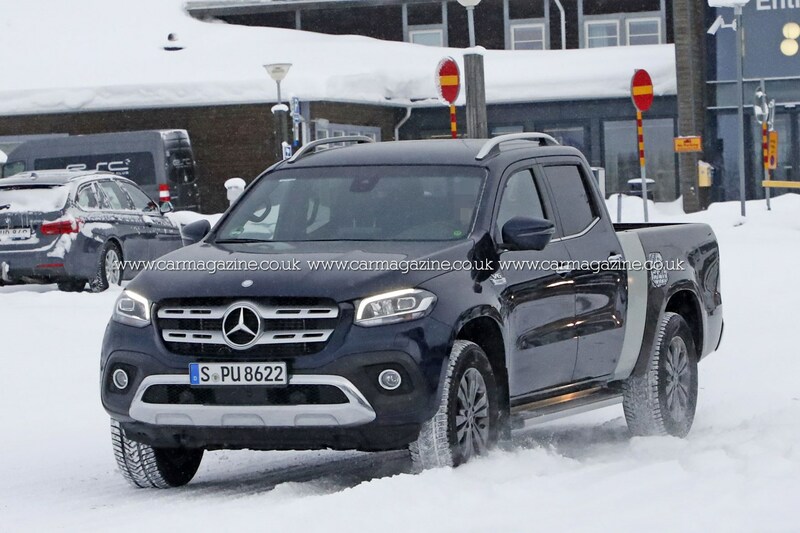 When will the Mercedes X-Class LWB go on sale? If any more details come our way, we'll be sure to pass them on. But for now this is all Mercedes is prepared to say on the subject, as it has an official policy of not coimmenting on projects done in collaboration with its bodybuilder partners.